It looks like Conn and Kurrono Kei aren't giving the old MSU1 audio enhancement trick a rest; this allows you to add CD-quality soundtracks to retro games. Released during the last week was one of the most fan-requested patches (Super Castlevania IV) and a surprise release for one of the lowest scoring SNES games ever reviewed at Nintendo Life (Rival Turf). We reckon we got a better deal this time with the western version of the SNES Classic Mini. While Japanese gamers have the delightful Legend of the Mystical Ninja as part of their 21 game list, we instead got Konami's phenomenal first entry of the Castlevania series on 16-bit hardware. The soundtrack - composed by Taro Kudo and Masanori Adachi - remains one of the finest ever produced for Sony's SPC700 chip and easily ranks as one of the most memorable in the whole series. However, now thanks to the efforts of Conn you are able to play the game to any soundtrack of your choice. If you ever wanted to play the game to the music of Michiru Yamane's Castlevania: Symphony of the Night soundtrack, your time is now. As of right now Kurrono Kei has compiled a digital soundtrack pack featuring symphonic rearrangements of the game's soundtrack; you can sample the end results in the video below. Alas poor Jaleco, you always tried so very hard to deliver on games that almost made it, but not quite. To be fair at the time of the original release Rival Turf was the first game on Super Famicom to provide two player co-op, a feature sorely lacking from Capcom's Final Fight. The series went on to produce two superior sequels but sadly in the West we always got each and every version butchered due localization. In the original Japanese version (Rushing Beat) there were cutscenes that detailed the plot: Maria is a journalist, Rick's sister. She gets kidnapped by a drug cartel whose operations she was about to to expose; Rick wasn't just some thug - but a Neo-Cisco police detective - and his friend Bild isn't a wrestler, but a beat cop. Looking at the game we got in the West (or its cover art) no one would ever be able figure that out. So the good news is that Conn's MSU1 patch works on both Western and Japanese versions of the game; it even works in conjunction with last year's full English translation patch released by FlashPV. Kurrono Kei assembled a pack with arrangements of the soundtrack with a Megadrive FM synthesis flavor. You can hear them in the following gameplay sample. Of course like all MSU1 enhancements, you are free to change whatever track you wish for something of your own liking. 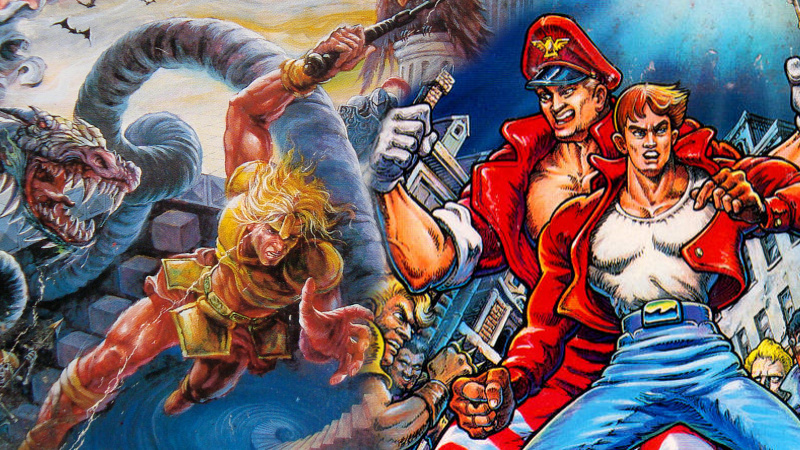 If you want to give your Mega Drive loving friends a run for their sanity, you can put Yuzo Koshiro's Streets of Rage 2 soundtrack with the action. The game will still remain a poor example of the genre, but it will at least sound incredibly awesome. Cool but it seems too trivial to really enjoy in any practical capacity. I really do hope an awesome version of the Virtual Console releases on the Switch. I generally don’t like the way these sound. I guess my nostalgia takes over and makes me feel like it’s somehow blasphemous. So Rival Turf's other name is Rushing Beat? Sounds like Rush and Beat, seem like whoever made that game is playing way too many Mega Man. Streets of Rage 2 made my Megadrive sing. Amazing soundtrack. It doesn't matter if the synths you use for a game are unrealistic, as long as they convey a special atmosphere. The original mostly used the Kawai XS-1 synthesizer for the instruments, but this "enhancement" seems to use something like Kontakt Factory Library instead, which ruins the atmosphere of the original, IMO. As much as I've loved these mods in the past, the CV4 example here simply doesn't do it for me. The original soundtrack already sounds CD-quality to my ears; it's perhaps my all-time favourite soundtrack to any video game. While I can appreciate that this new version "improves" on the audio in some ways, a lot is lost in the translation. Still, very cool how people are able to do this. @Hordak You pretty much summed up what I just posted, but in far fewer words! As a guy who likes to rearrange video game music soundtracks, I quite enjoy the possibility to play these classics to my own music. For now I need to work in converting the third disc from "Metroid Legacy: The Samus Aran Chronicles" into a fully functional music pack for the MSU1 patch of "Super Metroid" by Darkshock. I eagerly await he completes his "ActRaiser" audio enhancement. Also do remember that the MSU1 is capable of inflating the maximum ROM size to 4 gigabytes. Despite the popularity of the audio enhancements, possibly the biggest thing you can make your SNES do with the MSU1 is to stream huge amounts of data compared to the original cartrige sizes. It makes stuff like "Road Avenger" possible, running on a single Super Nintendo cartridge. idk, the music is nice, but the original music "matches" if you know what i mean. even now when I buy soundtracks from SNES games I'm looking for "original sound versions" because otherwise it just feels not quite right. Konami use to make such great games.